Hello, friend! Thank you for your interest in helping more families in need, and our shared planet—we’re delighted to have you on board. This page was created to make it as easy as possible for you to share this important request with other caring and generous people in your life. Have a question you don’t see answered here? Email or call us at 207-669-8254.
to 120 families IN SIX new communities in Central America in 2019. Because we all want what’s best for our families. The families who partner with us want a better life for their loved ones, they simply lack the resources. That’s where you come in. You can bridge the gap between a dream and reality. This expansion will allow 120 new families to partner with us! 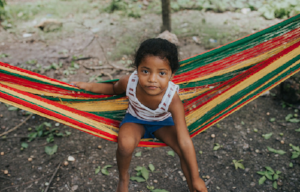 When you donate to this campaign, you help families improve their well-being, transition away from harmful agricultural practices, and protect the environment all at the same time. 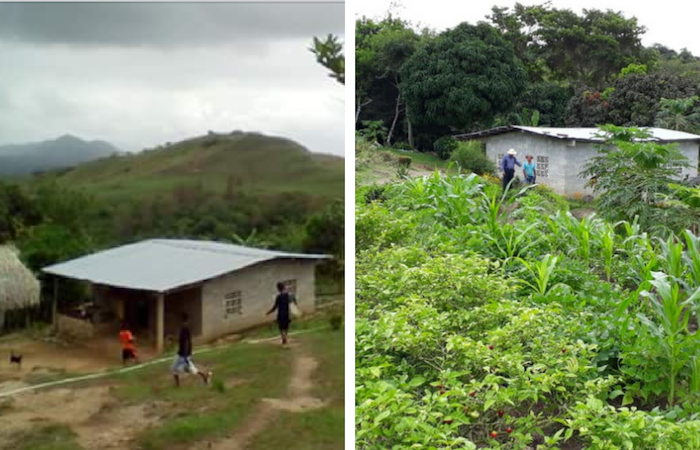 Partnerships are planned with the following communities in 2019: Patchakan, Belize, one new community to be determined in Honduras, and Aguas Claras, El Escobal, El Limón, and Perecabe, Panama. We just need YOU to make it happen! Start a Fundraiser now. Invite your friends and family to join you in supporting Sustainable Harvest International. We’re counting on you—and your community—to reach our goal. Fundraisers are easy to set up and one of the most effective ways you can help! Need more convincing? See what Charity Navigator says about our impact. Ready to start your fundraiser? Click here to start sharing your passion for people and the planet with your community today! Ensure the success of your campaign by clicking on the handy tips below. What’s your inspiration? What’s motivating you? Why do you want to invite others to learn about Sustainable Harvest International? What specific action do you want someone looking at your campaign page to take? This reflection will help you proceed with confidence, knowing what you are doing is important and valuable (believe us, it is!). + WHO DO YOU KNOW? Now that you’ve identified your motivation, it’s time to determine whom you’d like to invite to join you. Make a list of people you know. You’ll quickly realize you know A LOT of people. Remember, you’re simply passing along an opportunity to do something positive. You’ll be surprised by who might accept your invitation. Here’s a brainstorming list to get you started. Make it personal The most successful pages tend to include some sort of personal story showing who you are, why you’re asking for support, and a good photo of yourself. Use your answers to the questions above to create a powerful, concise explanation for your motivation and why you’re raising funds for Sustainable Harvest International. Your passion and confidence will impress and motivate your friends and family to support you. Decide on your goal Make sure you feel it’s doable. You can always raise the goal later if you end up surpassing what you initially set out to raise. Be the first to support Make the first gift to show your friends and family that you believe in what you’re doing. Now that you’ve personalized your support page and made a list of everyone you know, it’s time to put the two together and get the word out. We suggest beginning with your closest circle–people you know will want to support your efforts. Their donations will bring momentum to your campaign. Start with a personalized greeting based on the person, or group, that you are messaging. Reword the language you’ve already created for your fundraising page into a personal email, Facebook message, etc. Ensure you’ve made a specific ask for a donation (i.e. “Will you support me with a donation of $50?”). The donation amount you ask for can and should change based on the person or group you are emailing. Be sure to include the link to your fundraising page so they know where to make a donation. Add photos, if you wish, to make it more engaging and fun. After reaching out to your closest friends and family, start working through the rest of your list. Give yourself as much time as you can to invite people to join you. You might find that setting aside 15 minutes every day or two will help you to achieve your goal. People are busy. They need reminders. After you’ve sent your first message, wait a week, and then send a reminder. In this message you can share news about any donations that have already been made and how close to the goal you are. You might drop in a line like this: “I want to thank all the wonderful people who have already supported me. If you’d like to support this important cause but haven’t yet, there’s still time.” Make sure you include a link to your support page. If you can, try to send an update every two weeks or so, to keep up the momentum. Social media can be an excellent platform for drumming up support and enthusiasm for your campaign. Post frequent updates, alternating between requests for support and updates on progress toward your goal. When you reach a milestone towards your goal, post about it. Recognize and thank your friends and family by name, tagging them. The more gratitude you share with your current donors, the more others will follow suit and donate as well. Add photos or videos so your posts are more engaging. Need a photo/video? Click here to see our media gallery. Always include a link to your support page. Ask your friends to share your posts with their networks or to share the link to your support page along with a line about why they want to support you. While it’s possible to set up a fundraiser on Facebook to support Sustainable Harvest International, we don’t recommend it for this campaign. The easiest thing to do is create an individual fundraising page. Celebrate the holidays in a meaningful way Ask friends to consider supporting your cause this holiday season. If you’re hosting a holiday party or office party this year, ask your guests to make a small contribution. Raise funds for your birthday Ask your friends and family to support people and the planet instead of buying gifts this year. Have a great/wacky/attention-grabbing idea? Drop us a line and let us know what you’re up to. We’d love to hear about it! Gratitude is key! Everyone who donates will automatically receive a thank you from us but we recommend personally thanking them as well. Tell them how much you appreciate their generous support. Consider asking if their company has a matching gift program, as this is an easy way to double their donation. Thank anyone who has donated publicly, as well. You can do this via email or on social media. By thanking donors publicly, your friends may feel even more likely to get involved. WE’RE HERE TO HELP We want you to succeed and we’ll do what we can to help. Feel free to reach out to us via phone (207-669-8254) or email at any point if you need assistance. Click on a question in order to see the answer. Q: I’m nervous about fundraising. Can I do it? A: Yes! You are not alone—many people are nervous about this aspect. We’re here to tell you that it’s easier than you think, and that we’ll help make your campaign a success. You’re doing this because you care about the cause and want to do something about it—your friends, colleagues, family, and community will want to support you, too! Check out our fundraising tips below and feel free to reach out to us if you want to brainstorm. Q: How does the online fundraising software work? A: After clicking “Start a Fundraiser” you’ll create a username and login that will give you access to our fundraising software. You’ll get a personal fundraising page that you can customize and share with your networks. Your personal fundraising page is where your contacts can make an online donation. If you have any trouble, please reach out to us by telephone (207-669-8254) or email. A: Nope! We’re happy to report that creating a fundraising page is free. Q: How do I edit my fundraising page? A: Editing your page is easy. To change your goal, fundraising details, or any other information, simply log in and select "Fundraisers" from the left navigation bar. Select the title of your fundraiser, then select the "Edit" button under the “Progress” sub-header. From that screen, you'll be able to edit any information on your fundraising page. Remember to select the "Publish" button on the bottom right corner to save and commit your changes. Q: How do I find the web address/URL for my fundraiser? A: First, create your fundraiser. Good job! Now, click on the name of your fundraiser in your dashboard. Either directly below the name of your fundraiser or to the right of it, you'll see a little box with a web address/URL in it. This is the URL you should share with your networks. Q: How do I keep track of the participants who have contributed to my campaign? A: You can see a list of everyone who’s donated to your campaign by logging into your dashboard. Q: Will people who donate to this campaign receive a tax receipt? A: But of course! People who donate will receive a tax receipt by email directly after making a donation. A: Yes! Sustainable Harvest International is a tax-exempt organization as described in Section 501(c)(3) of the Internal Revenue Code; EIN 43-2023182. All donations are tax-deductible to the extent allowed by law. Q: Can donations be made offline? A: Yes! Donations can be made via mail or telephone. Please make checks payable to "Sustainable Harvest International" and mail to: PO Box 1447, Ellsworth ME 04605 or call us at 207-669-8254 during normal business hours. Q: Can I adjust my fundraising progress to reflect offline donations? A: Yes! Online credit or debit card donations through your fundraising page are automatically reflected on your fundraising thermometer. Donations made by cash or check must be entered manually in order to count toward progress toward your fundraising goal. Q: When is the last date donations will be accepted? A: In order for a donation to be counted for this campaign, it must be submitted by December 31, 2018. Q: Can gifts be matched? A: Many companies offer matching gift programs for charitable donations. Each matching gift program is different. Begin by checking with your company to determine their policies. If your company is able to match gifts, they should be able to provide you with the necessary forms and instructions. Click on any of the images below to download them. Click on an image to download for use on your campaign page. Looking for something you don’t see here? Let us know right away! REACH 120 FAMILIES IN SIX NEW COMMUNITIES!